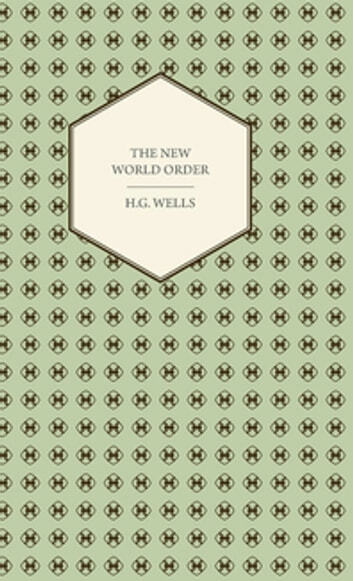 This volume contains H. G. Wells's fascinating exposition of the ‘New World Order’, being a discussion of whether it is attainable, how it can be attained, and what sort of world a world at peace will have to be. This wonderful masterpiece of speculative theory will appeal to fans of Wells's seminal works and those with an interest in speculation as to the future of humanity. A wonderful addition to any personal library, this antiquarian text is not to be missed by discerning collectors of such literature. The chapters of this volume include: 'The End of an Age', 'Open Conference', 'Disruptive Forces', 'Class-War', 'Unsated Youth', 'Socialism Unavoidable', 'The New type of Revolution', 'Politics for the Sane Man', 'Declaration of the Rights of Man', 'International Politics', et cetera. Herbert George "H. G." Wells (1866 – 1946) was a prolific English writer in many genres; including the novel, history, politics, social commentary, as well as textbooks and rules for war games. We are republishing this vintage book now in an affordable, modern edition complete with a new prefatory biography of the author.